Sea of Thieves - Sea of Thieves Anniversary Update Coming on April 30th! Today, we are celebrating a year of adventures in Sea of Thieves! It's been both humbling and awe-inspiring to see millions of players from all over the world set sail and create their own stories on the Sea of Thieves. On behalf of everyone at Rare, I'd like to say a huge thank you to everyone who's played and made Sea of Thieves what it is today. While it's been an amazing first year, we're not done yet. With four major updates, nine time-limited events and more than thirty game updates, we're still just getting started. We're as excited about Sea of Thieves today as we were a year ago, and I'm pleased to be able to share with you a big reason why - the Anniversary Update, our biggest content update so far, will be coming free to all players on April 30th. 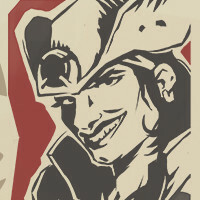 The Hunter's Call is a new Trading Company that gives you more ways to play and progress towards Pirate Legend. Find out more about what you can do, the Company behind it and the rewards on offer. This is Sea of Thieves like you've never seen it before. Tall Tales are a collection of story-rich quests that are played out in our shared world and can be fully experienced by yourself or with your crew. This first collection, Shores of Gold, invites you to embark on an epic adventure of love, honour and betrayal in search of the mythical Shores of Gold. To say thank you to our wonderful community for their support over the past year, we have a range of goodies on offer to help everyone celebrate. These will all be rolling out over the next few days, so go get 'em! New Mercenary Voyages offer medleys in The Shores of Plenty and The Devil's Roar, together with a new Reaper's Run Voyage, Commendations and cosmetics. There's also a special Gilded Mercenary Voyage of Legends for Pirate Legends. Captain Bones' Original Pirate Cutlass is added to the weapons chest for any player who played in our first year. Any player who attained Pirate Legend status during our first year will receive a Golden Legendary Tankard, a Golden Legendary Hurdy-Gurdy, a Golden Legendary Blunderbuss and Golden Legendary ship customisations including a Sail, Hull and Figurehead. All players will be able to purchase the Golden Sailor Hat and Golden Sailor Cannons from any Outpost shop for just 320 gold between today and the launch of the Anniversary Update. A range of free Sea of Thieves-themed gamerpics are now available for personalising your Xbox Live page. No pirate birthday would be complete without a sing-song, so we're pleased to announce that we are releasing 'We Shall Sail Together' through digital outlets (Spotify, Deezer, Google Play, iTunes, Amazon Music and Tidal). Make sure you have a listen to get yourself in the pirate spirit! Thank you again to all the players who have joined us on this journey with Xbox Game Pass, Xbox One and Windows 10 PC. We couldn't be more excited to bring you the Anniversary Update on April 30th and to share more details soon. See you on the seas!